Our real estate was very helpful and made this process easy and stress free. We appreciated all the help, support and commitment we received from her. She was very helpful and always willing to work with us she was always on time for our appointments we are very thankful to had her as our realtor. Gloria was great. She helped us throughout all the process. We are confident without her help we wouldn't have been able to get the selling price we got. We recommend Gloria 100%. We love to work with Gloria. she is knowledgeable and gave us good advice. Also, she was patient and she was letting us know about the different options that we had. Great service, excellent advice and very good knowledge of London. I am a very happy buyer thanks to Gloria. 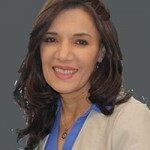 She helps us to find a very good investment property and in a very good location. Great agent to work with her.we been so lucky to have Gloria as our real estate agent and we are going to recomend her to our community and to our friends.she did great job.we do really appreciate her.